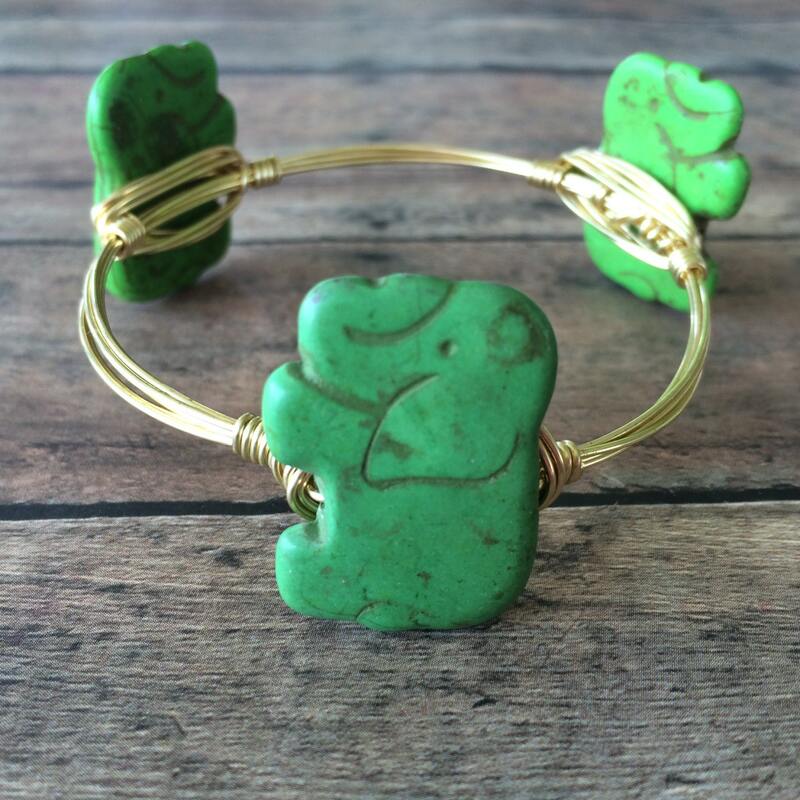 How cute are these green carved howlite elephant bangles? 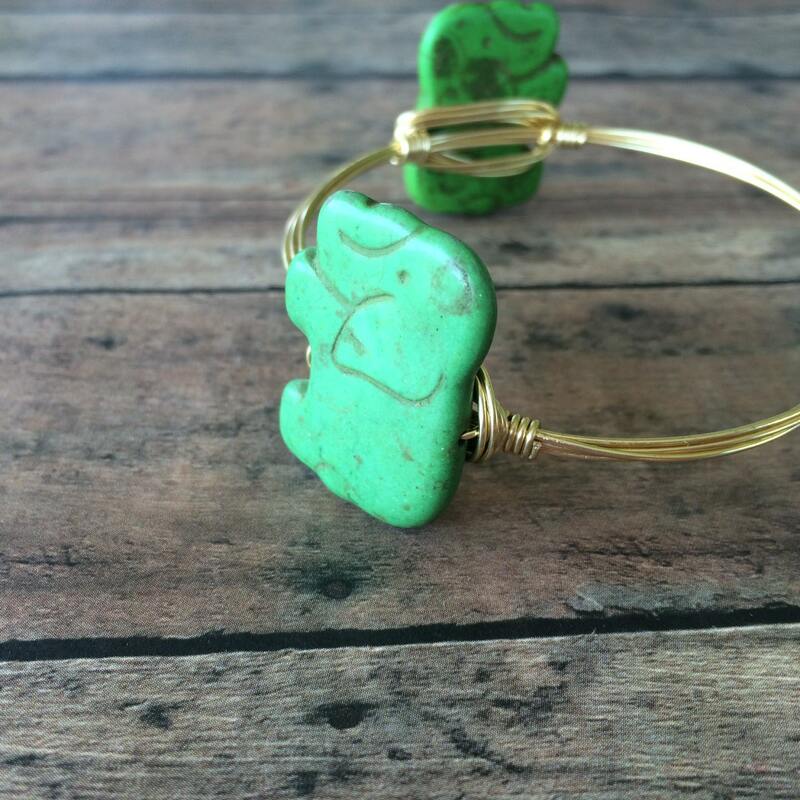 They are a must for any arm party! Each bead is approximately 30mm. This listing is for one (1) bangle. Each Clutch Your Pearls bangle will come with our unique logo tag. If you would like a custom size, or if you are interested in having a custom stack made, please feel free to message me! I love doing custom orders! NOTE: If no size is selected at checkout, I will send the standard size. At this time, I am only able to ship within the United States and Canada. 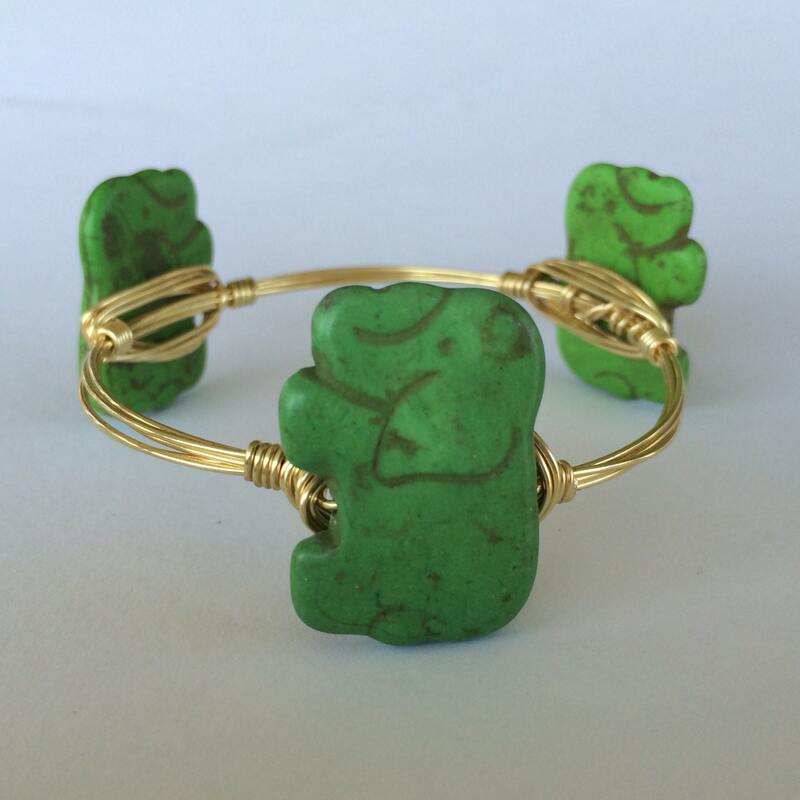 Bangles will ship with a tracking number within 3 - 5 business days unless stated otherwise. Both Etsy direct check out and Paypal payments are accepted. Please let me know ASAP if you need to make a change or cancellation as I try to get my items made and shipped in a timely matter. I will automatically upgrade to USPS Priority shipping if total shipping charges total $6 or more. Refunds will not be issued unless product is grossly not as described or product arrives damaged and I am unable to replace it. Please let me know if a product arrives damaged within 48 of delivery. Please message me if you are unsure about sizing or have any questions before ordering :).